BoatTrader.com today announced an agreement with GE Capital, Commercial Distribution Finance (CDF) that gives authorized marine retailers an opportunity to purchase current and non-current repossessed boats through CDF. 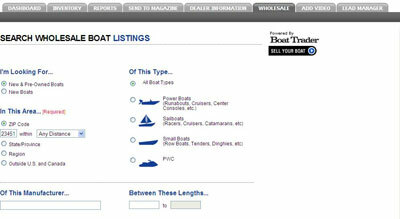 To facilitate the liquidation of this inventory, CDF has entered into an arrangement with the largest marine classified site on the Internet, BoatTrader.com, which developed an innovative application to move the inventory quickly. CDF will be offering these units to the wholesale channel through the recently launched Wholesale tab in Boat Trader’s Inventory Management Tool. Marine dealers in the Boat Trader network will have immediate access to the Wholesale tab, where they can view, inspect and purchase these units. 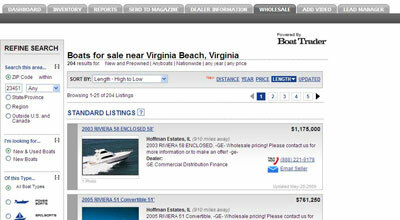 Boat Trader will also help dealers that purchase these wholesale units in their promotional efforts. Marine retailers not presently aboard with BoatTrader.com are invited to join the Boat Trader Dealer Network to showcase their current inventory to more than 1.5 million consumers each month and gain immediate access to GE Capital, CDF’s wholesale inventory. 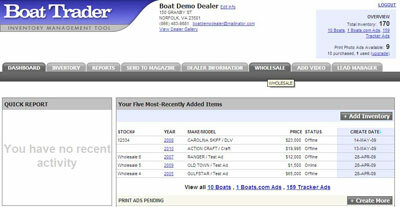 And, for a limited time, Boat Trader is offering a dealer gallery banner to GE dealers that sign-up. Dealer gallery banners reinforce the dealership brand and drive traffic to the dealership website.